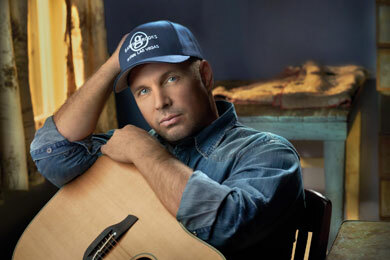 Garth Brooks will play four full band shows at Wynn Las Vegas’ Encore Theater on Jan. 3 and 4, 2014. The shows, titled Garth Brooks: The Man, His Band and His Music, will feature the singer’s hit songs, according to PR Newswire. Each day will feature two shows, starting at 7 p.m. and 10:30 p.m.
Tickets for the singer’s shows will go on sale Friday, Dec. 6 at 10 a.m. through Ticketmaster. Brooks’ CBS television special, Garth Brooks Live From Las Vegas, pulled in 8.75 million viewers among adults 18-49. The special aired Friday, Nov. 29.